If you are looking for a Chandler AZ roofing services company for your commercial or residential roofing project, here are five tips to assist you. To begin with, you should not entrust your project to the first Chandler roofing contractor you meet. Begin by searching Google for the most reputable local roofing company in the Chandler Arizona area. Try a search phrase like ‘best roofer in chandler‘ – here you will find Express Roofing at the top of the search results just under major sites like Yelp and homeadvisor.com. Deciding on the best Chandler roofing contractor can be a difficult task because tile and shingle roof repair or installation, is intangible until the job is complete. That is you really don’t know the quality of the company’s work until after the job is finished and you’ve paid. Whether you are in need of a commercial or residential roofing company in Chandler, check out the following five tips for selecting the best Chandler roofer in AZ. Ready to learn more? Call 480-226-4245 today, or, read our more than 200 stellar 5-star reviews. Tip #1: Select a Chandler roof replacement company with top reviews. Many roofing companies in Chandler Arizona claim their service is the best, but rather than listen to what these companies say about themselves, ask “what do their customers say about them?” A long list of past customers who will rave about the roofing contractor is an excellent sign of a quality roofing company. With social media and a high number of online reviews from sites like Yelp and HomeAdvisor, it is easy to learn a roofing company’s reputation. In addition to possessing awesome online reviews, a quality Chandler roofing company will have referrals from previous customers. Chandler roofing contractors who consistently offer excellent service will earn a good reputation as well. And, companies whose services create issues and are inconsistent, will receive negative reviews. Let’s take a look at what is behind a good reputation and solid reviews. Provides a fair and honest quote for every project they bid on in Chandler. Knows how to work within the customers budget. Establishes clear expectations for the timeline and amount of work needed to complete the project. Communicates with customers about any changes or delays to the project. Cleans up the work site completely once the job is finished. A few ways to determine if a Chandler roofing contractor has a good reputation. A roofing company’s reputation is not what they say about themselves, but rather what their customers say about them. There are several ways to discover what previous customers have to say about the roofing company you are considering. Search Google for customer reviews that are specific and detailed, be cautious of those that are vague or overly descriptive. Yes, it’s possible to buy reviews, and a surprisingly high number are actually fake. You’ve heard of fake news, well, there is such a thing as fake reviews… be sure you don’t fall for them. A customer referral is the next best thing to an online review because unlike reviews, a referral is someone you can talk to about their experience and satisfaction firsthand. If your neighbor recently hired a contractor for their roof replacement, go talk to them about whether they’d hire the same company a second time. The answer to this question will tell you everything you need to know about whether you should use the same company or not. When you choose a local Chandler roofing contractor that was referred, you can be ensured that they will provide reliable services as the value of their reputation is too high to fail on your home. The Better Business Bureau (BBB) is an excellent resource to help you find and discover hidden customer complaints or dishonest company practices. If you are unable to find a good review online or receive a referral from a friend, use the BBB to find roofing contractors with great ratings, ideally an ‘A+ rating’ is what you want. Very few roofing companies are able to achieve the coveted BBB A+ rating, which is why when you find one, you can be assured that you are working with the best in Chandler. A roofing contractor’s reputation is earned through their hard work, high quality, and commitment to deliver. As a customer, you have the right to know that your roof will be durable and long-lasting. At Express Roofing in Chandler, AZ we are committed to providing reputable residential and commercial roofing services to Chandler, and our reviews, customer referrals, and A+ BBB rating back up our claim to be the best. Contact our Chandler roofing office to receive a free estimate and drone inspection of your roof. Call 480-226-4245 to get started. Tip #2: Hire a Chandler roof installation contractor who offers the best quality roofing materials. Even the best roofing service company in Chandler Arizona cannot provide their customers with a sufficiently reliable roof if they are using low-quality products. The end-quality of every roofing project comes down to the quality of materials used by the roofing company. The materials that a roof is made of will play an important role in determining how long the roof will actually last. A roof is meant to offer protection and keep its occupants safe and dry, however, roofs take a beating from the outdoor elements. In Maricopa County, Chandler specifically, we know a thing or two about the heat and effects of the sun on our tile and shingle roofs. The intense sunshine beating down on your roof day after day, along with the monsoon rain and wind we receive in the summer months, can cause a residential or commercial building’s roofing to take a beating. Because of this, it is important to choose a roofing contractor that only uses the best quality roofing materials, so you can be assured that your roof will offer the long-lasting protection that you need. Why quality roofing products matter. Owens Corning has dominated the insulation industry and their excellent reputation applies to their roofing shingles, as well. 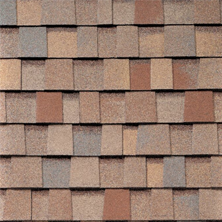 Owens Corning shingles are preferred by many roofing contractors who are looking for quality, long-lasting shingles. These shingles are a popular choice among Chandler AZ homeowners due to their quality, color options, durability, and warranty. Malarkey roofing products guarantee a high-quality shingle that is appealing and budget-friendly. Malarkey shingles have been offering practical solutions for commercial and residential roofing since 1956! With their Secure Choice Roofing Systems, homeowners can get a tough, durable, and appealing roof that will add years of curb appeal to their property in Chandler Arizona. Eagle Roofing tiles are a durable, long-lasting, modern, and affordable roofing option that will increase the curb appeal of your Chandler home. Eagle Roofing is a leader in green manufacturing, using recycled materials in the manufacturing process. With numerous styles to choose from, and given their ultra-high energy efficiency, Eagle Roofing is a popular choice for homeowners in Chandler. 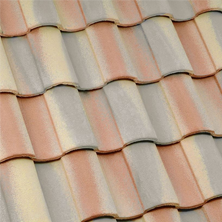 Boral concrete roof tiles are manufactured using an extrusion process, which gives their tiles strength and durability that is preferred by many roofing contractors. Boral offers multiple styles of concrete roofing tiles, and Boral roofing shingles are installed on homes and businesses in Chandler and throughout Arizona. We are committed to customer satisfaction, which is why we only carry roofing products from manufacturers who are known for their quality roofing products. When you hire Express Roofing for your Chandler roofing installation project, you can rest assured that you will be getting some of the highest-quality roofing materials on the market. We are confident that our selection of high-quality roofing materials will suit your preferences, whether residential or commercial. Tip #3: Select a Chandler licensed roofing contractor with the highest standards. Have you noticed that it is getting harder and harder to find roofing specialists who will work to the standards of excellence that you expect? In our more than 20 years in business, we’ve resisted the temptation to grow our roofing business by doing the least amount of work possible in order to earn the largest profits. When choosing a roofing service company it’s important to understand the business model of who you are working with. A roof is a sizeable investment, and Chandler homeowners cannot afford to go with the wrong residential roofing company, one who will take your money and cut every corner to maximize their profit. Finding a roofing company near me in Chandler AZ with integrity and standards will take some effort to interview different companies as some roofing companies will claim that their business adheres to the highest standards. Being able to tell which companies claims are real, and which are fake will take some effort. But the peace of mind that results when you make a good choice, is worth the effort. Here three ways to identify a local roofing contracting company with the standards you expect. 1. Interview only top rated Chandler roofing companies, give the highest priority to BBB roofing contractors. Do your research when searching for highly rated Chandler roofing contractors with the best ratings. Note the number of reviews on Better Business Bureau and other major review sites that they have received, take stock of the number of stars that the new construction and reroofing company has received, and be sure to note any useful or important information such as pricing and the brand of roofing materials used. But, remember it’s not hard to get a handful of reviews, which is why you need to make sure the roofer you are considering has more than 100 5-star reviews. It’s easy to fake or even buy 10 good reviews, but 100 or more you simply cannot fake. 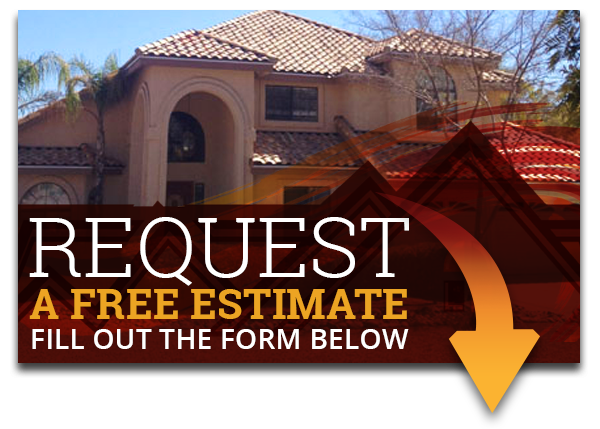 Express Roofing LLC is a Top Rated Local Roofing Contractor in Chandler, Gilbert, Mesa, Ahwatukee, Phoenix, Paradise Valley, Scottsdale, and surrounding Phoenix markets. 2. Search for evidence that the roofer in Chandler you are considering will hold to their standards. Why did the recommended roofing contractor get into the roofing industry? Are they passionate about what they do? Look into their eyes and see if there is a spark when they talk about a home’s roof. If you don’t see a spark, it could mean that they have lost the passion for the job, which unfortunately will be reflected in the quality of craftsmanship they deliver. Do they have an About Us page that includes their passion and commitment to providing the very best roofing services? How high are the roofing company’s standards and what is their yardstick of measurement? Do they value workmanship or are they in it for quick, careless work and large profits? Ask if the owner or principal will even be on the job site. This person does not need to be on the site from the beginning of the project until completion, but they should be able to tell you the check-in and inspection intervals that they maintain. At Express Roofing, we provide our customers with the most reliable roofing services in Chandler Arizona, and our work always reflects this high standard of excellence. If you have questions, you may contact us at 480-226-4245. 3. Pick a roofing contractor who is setting standards for all their competitors in Chandler to follow. They say the only way to lead is by example. The best way to select the highest rated roofing contractor in Chandler is to select the one whose standard of excellence is setting the bar for all roofing companies to follow. It is not easy for any company to step out and define the standards for other local roofing companies. To define a standard of excellence in the roofing industry, one must stand up and courageously offer the most outstanding roofing service in Chandler. When you come across a company like this, you have likely found the best roofing company in Chandler to hire. Call 480-226-4245 and one of our roofing specialists will be happy to talk with you. Tip #4: Search for a local Chandler roofing company. A mistake some home and business owners make when hiring a local roofing contractor is selecting someone who is not local to where their project is. This doesn’t mean the roofing company must be in the same town, but consider, if their home base is a 60-minute drive, will they cut corners because they want to beat traffic, or need to get to another project that is on the other side of town. When you entrust your residential roofing project to someone who is not from, or familiar with the area, you will likely experience headaches over the course of the work being completed. There are plenty of benefits that come with hiring a local roofing contractor in Chandler as opposed to Phoenix or Glendale to handle your shingle roof repair or tile installation needs. Here are a few advantages of working with someone in Chandler over Scottsdale for your Chandler-based project. 1. A Chandler roofing company will be knowledgeable about your area. 2. Hiring a Chandler roofer will make it easier to research their reputation. It is much easier to verify and reference past projects of a company that exclusively provides roofing services to Chandler and the surrounding cities than one that hardly ever does roofing work in the market. Most reliable and trustworthy roofing contractors will have no issue giving you contact information of previous customers, and in some cases, you may even be able to see their workmanship in person. 3. Familiarity with the latest building codes in Chandler. Building codes can vary from one location and city to another. Without a full and proper understanding of the latest roofing requirements in Chandler, your project could go wrong and raise the interest of government inspectors. To ensure your home or business’s roofing system will be brought to code, it is best to hire a roofing company that exclusively provides roofing services in the city and surrounding areas regularly. 4. They should be available when needed. As the trusted roofing company in Chandler, Gilbert, Mesa, Ahwatukee, Paradise Valley, Central City, Scottsdale, and the surrounding areas of Phoenix, turning to Express Roofing will help your project, whether tile repair or flat roof installation, that much more successful. Tip #5: Pick a Chandler Arizona roofing contractor who takes great pride in their craftsmanship. As a Chandler home or business owner, it is your responsibility to keep it in good shape and maintained. A roof is one of the most expensive investments of a home or commercial building. For this reason, a roofing contractors workmanship can make all the difference. Will your roof be left to require constant repairs over and over again, or will you be left with a durable roof that is made to last? When Express Roofing founder Rene Palomino started his career in the industry as a journeyman roofer, Rene noticed a trend. The roofs his company was replacing were not suffering damage due as much to the low quality of materials but poor workmanship. He noticed that this trend continued when he was the roofing division manager for one of the most established roofing companies in the nation. The lack of workmanship done by other roofing companies inspired Rene to launch Express Roofing, with a mission to be fanatically customer service centered and keep professional workmanship top of mind. Finding a roofing company that values craftsmanship is essential, especially in Chandler and the surrounding Phoenix areas where roofs are exposed to the intense heat, severe thunderstorms and lighting, and even the occasional hail. Chandler homeowners should not constantly pay for roof repairs and replacements because the original job was performed with poor workmanship. With that in mind, there is also pressure on roofing companies to do the work as quickly as possible. It is much more difficult to maintain a commitment to exercising a staple of good workmanship on each and every job in the roofing industry because roofs are an investment that do not need to be replaced very often. Since repeat business is not the main source of customer leads in the roofing industry, most roofing companies are more concerned with prospecting new jobs instead of growing old customer relationships. Because of this, roofing companies are starting to care less about the quality of their services and more concerned with new customer acquisition. With these industry realities, it can be a challenge for Chandler homeowners or commercial building owners to find a roofing company who values workmanship and delivering the highest caliber work, but the good news is they do exist, starting with Express Roofing. Ask, will the roofer take the time to inspect your roof in order to offer you only the services that need to be done, or will they charge for repairs you do not need? Will the roofer avoid waste by taking the time and precautions to accurately measure and cut roofing materials, or will they charge more so they can purchase additional material and bulk up the profit of the job? Will the roofer clean up after the job is done to ensure no nails or materials are left on the property? If the roofer notices underlayment wood rot will they take the time to replace it, or just leave it as is? Because a roof is such a large investment and requires fine attention to detail, search for roofers who are committed to a high standard of workmanship. Hire a company that will treat your property as if it were their own. We care about the workmanship of our team and apply the highest standards to every roofing job we complete. Take a look at the appeal, durability, and beauty our roofs have by looking at just a few of our recent projects. 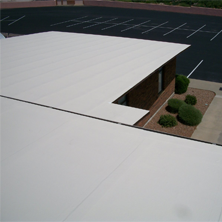 For Chandler roofing companies, there is not a better choice than Express Roofing. Contact our team today to get your re-roofing, new roof, or roofing repair project started. Call 480-226-4245 today to get started.